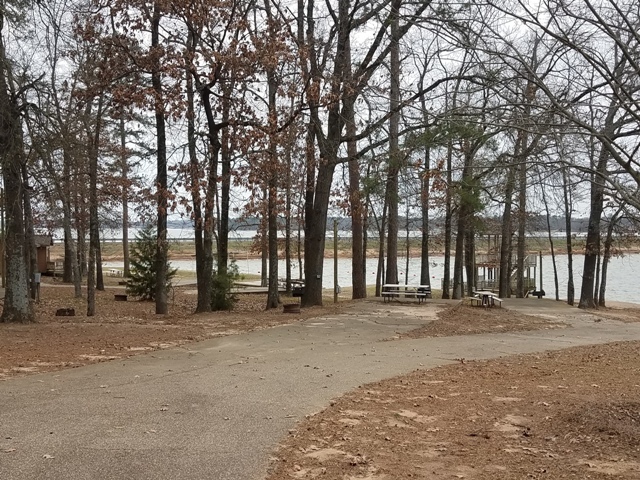 Camp Shiloh Retreat is located on a 25 acre campus overlooking beautiful Lake Bob Sandlin (click for map). 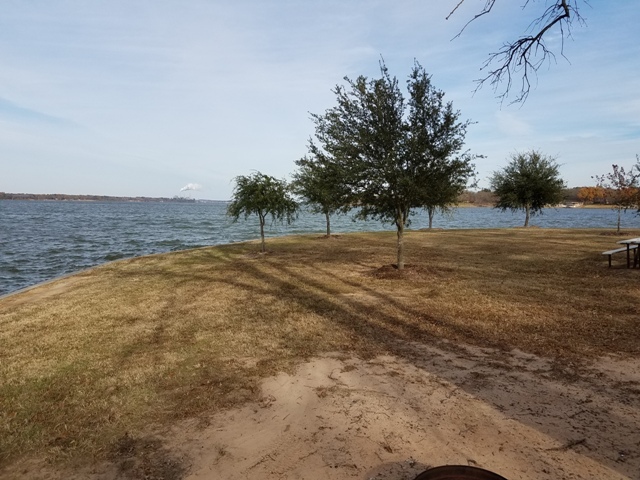 It is near the picturesque towns of Mount Pleasant, Pittsburg, Winnsboro, and Mount Vernon in north-east Texas. 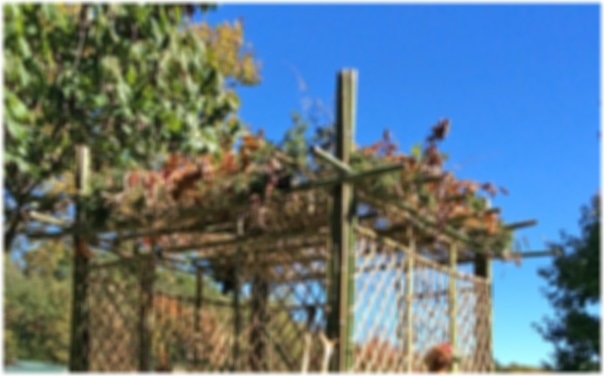 The camp has a private entrance with only one road leading in and out and is well suited for our 8-day Sukkot festival. Except for two or three permanent residents, those attending the festival will be the only ones staying on campus. 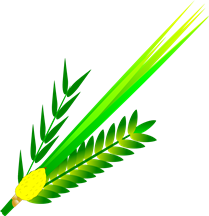 Outdoor activities include basketball, ga-ga ball, softball, and tetherball. The campus also has a nice nature trail. Fishing and swimming are available . . . in fact Camp Shiloh has a dedicated swimming area that includes a slide and a tower from which you can jump (no diving allowed), but there is no lifeguard. Camp Shiloh offers other water activities including canoes, kayaks, and paddle boats (contact Camp Shiloh for more information). A boat launch is available for those bringing their own watercraft. Responsible use of alcohol is allowed, but when bringing alcohol outside your housing unit, we ask that you keep it covered. 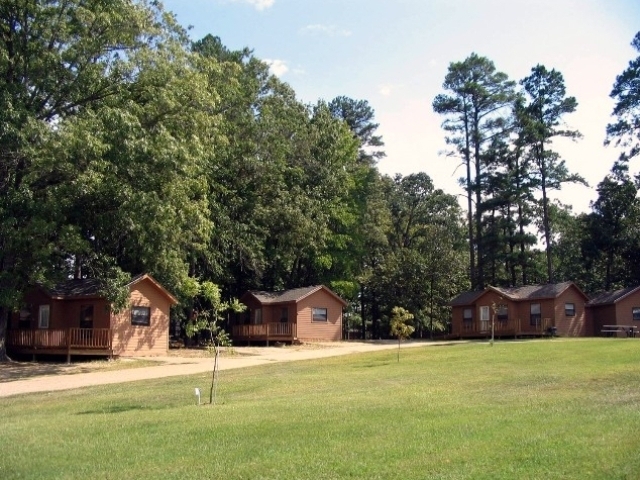 Housing includes 3 Deluxe cabins, 2 Family cabins 3 Regular cabins, 4 Deluxe suites, 5 Regular suites, and 2 motel-style rooms. 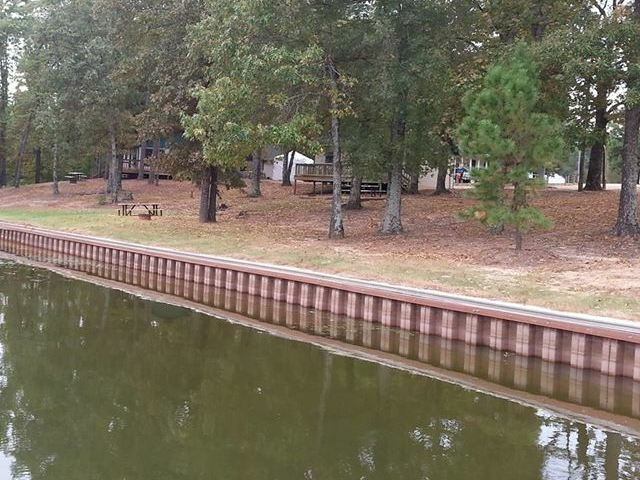 In addition, there are numerous RV and tent sites. Only a few of the facilities allow pets. 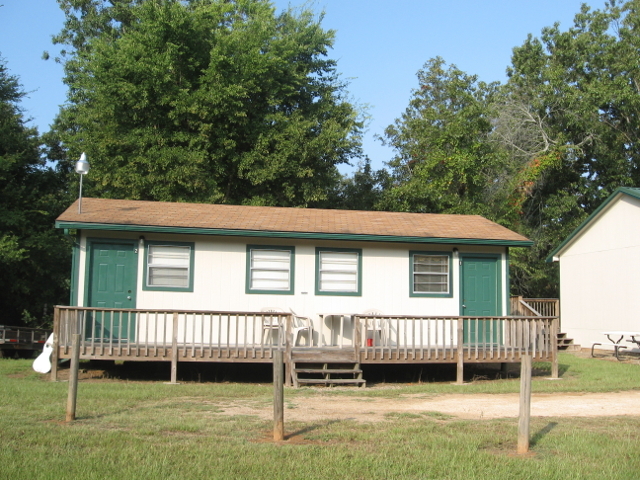 Prices for Cabins, Suites, Motel rooms, RV sites, and Camp sites are listed with the housing descriptions (see below). The rates are for 8 nights beginning Sunday evening, October 13 and continuing through Monday morning, October 21. 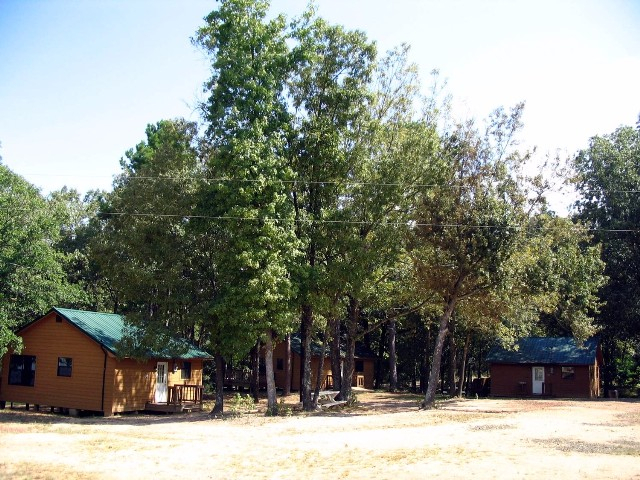 If you plan to spend extra nights, please contact Camp Shiloh directly at (903) 855-1800. At this time, SOOJ is not planning to offer housing for less than 8 nights. For those who bring pets, SOOJ will not be collecting a 'pet deposit', but will instead expect the person bringing the pet to be fully responsible for damages caused by your pet. Note that only certain housing units accept pets. On the other hand, if you intend to arrive early or stay late and make arrangements to do so through Camp Shiloh, be sure to let them know that you will be bringing a pet. They may ask you to post a 'Pet' deposit. In order to provide a unique festival experience, SOOJ has secured the entire Camp Shiloh facility. That means that except for a very few 'full time' RV campers and a couple of camp staff-members, only those associated with SOOJ will be on campus during our 8-day festival. This arrangement gives us full 24-7 access to the dining hall, conference center, pavilion, games, and lake-front areas. In order to pay for this type of access, we are charging a one-time 'Facility Fee' of $75 per housing unit or RV/Camp site. The Facility Fee is in addition to the individual housing rate. 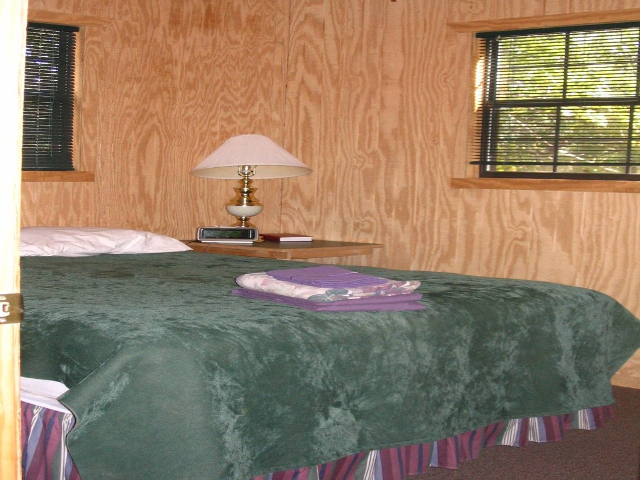 Deluxe Cabins are two bedroom with a living room, kitchen, and bathroom with shower and can sleep up to six people. The 'Master' bedroom has a queen bed and the other bedroom has a bunk-bed as well as a single bed. The unit can sleep 5. There is a futon in the living room. 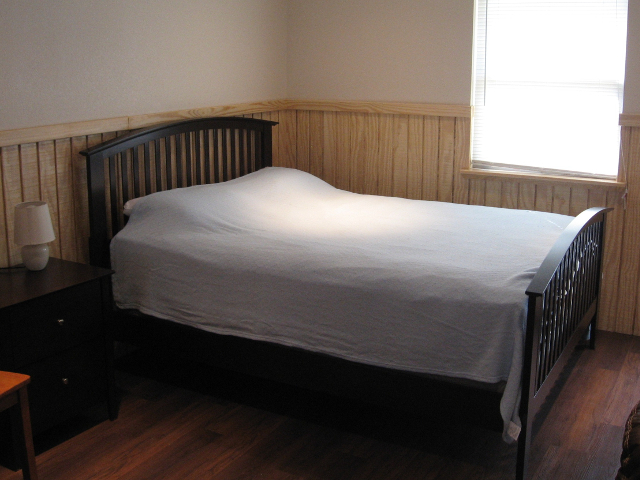 Sheets, pillows, blankets, and towels are provided, but are not changed on a daily basis. You may pick up clean sheets and towels one time during the festival. Along with a table and chairs, the kitchen has a sink, a 2-burner cook-top (no oven), an apartment-size refrigerator, electric griddle, a microwave, toaster, and coffee pot. Basic dishes and cooking utensils are included. The cabins have heating and air conditioning and include a deck in the back. There are 3 of this type unit. On the Campus Map, the Deluxe Cabins are #1, 2, & 3. Cabin #1 is 'Pet Friendly'. 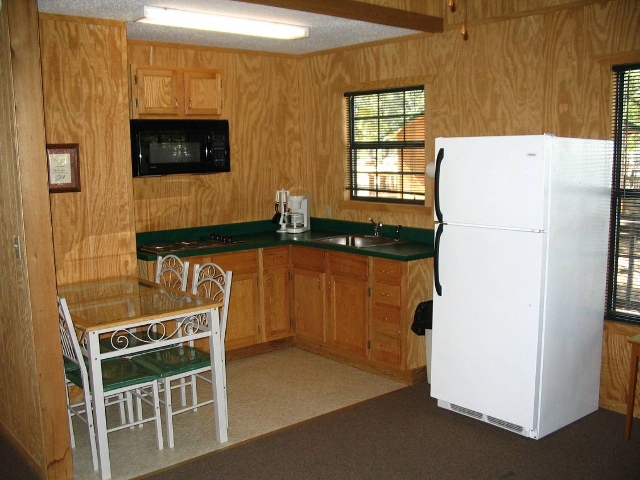 Family Cabins are two bedroom with a living room, kitchen, and bathroom with shower. 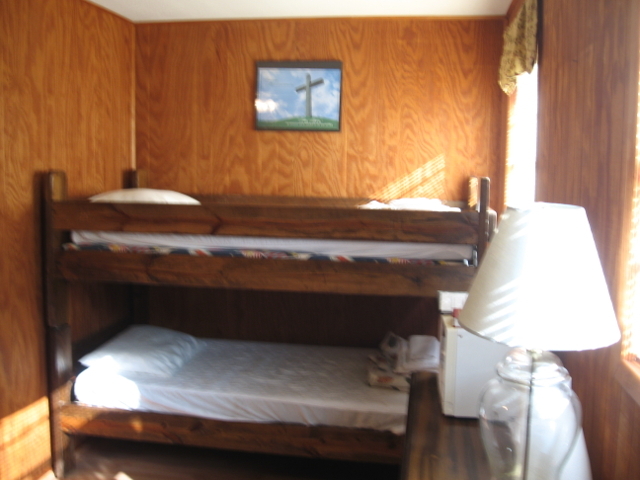 One bedroom has a queen bed and the other has two sets of bunk beds and can sleep up to six people. Sheets, pillows, blankets, and towels are provided, but are not changed on a daily basis. You may pick up clean sheets and towels one time during the festival. There are 2 of this type unit. On the Campus Map, the Regular Cabins are #4 & 8. Cabin #4 is 'Pet Friendly'. 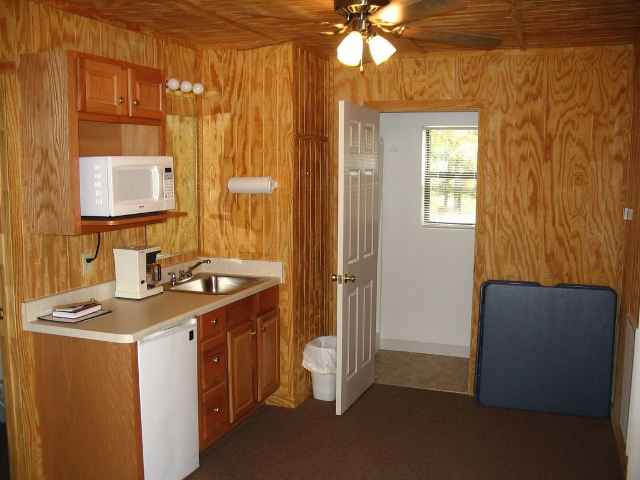 Regular Cabins are two bedroom with a living room, kitchen, and bathroom with shower. Each bedroom has two single beds and can sleep up to four people. Sheets, pillows, blankets, and towels are provided, but are not changed on a daily basis. You may pick up clean sheets and towels one time during the festival. Along with a folding table and 2 chairs, the kitchen has a sink, an under-counter refrigerator, a microwave, electric griddle, toaster, and coffee pot. Basic dishes and cooking utensils are included. The cabins have heating and air conditioning and include a deck in the front. There are 3 of this type unit. On the Campus Map, the Regular Cabins are #5, 6, & 7. Deluxe Suites are one room units with a bathroom and shower. On one end of the unit is a queen-size bed. Sheets, pillows, blankets, and towels are provided, but are not changed on a daily basis. You may pick up clean sheets and towels one time during the festival. On the other end is the kitchen which includes a sink, a 2-burner cook-top (no oven), an apartment-size refrigerator, a microwave, toaster, coffee pot, table and chairs. Basic dishes and cooking utensils are included. 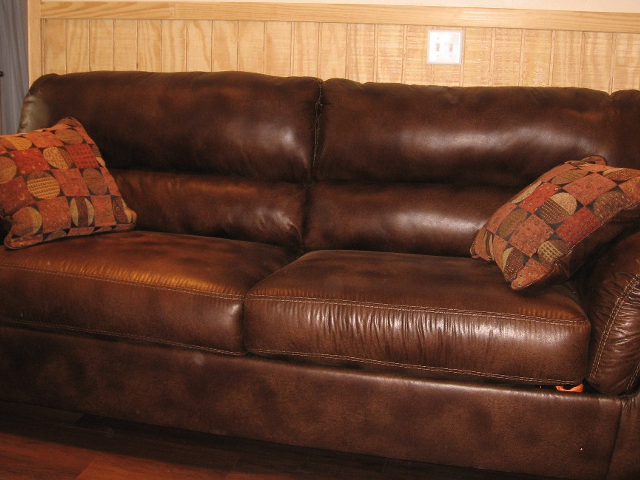 In the middle is a recliner and a sofa that opens to a full-size bed. 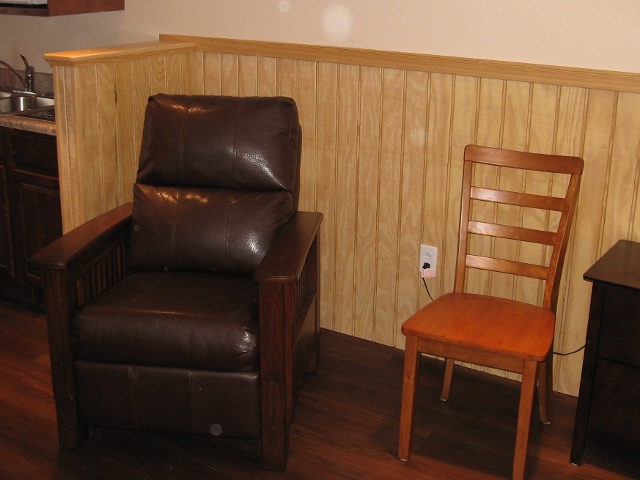 The Deluxe Suites have heating and air conditioning and include a covered front porch and a deck in the back. There are 4 of this type unit. On the Campus Map, the Deluxe Suites are #1, 6, 7 & 10. Suite #10 is 'Pet Friendly'. 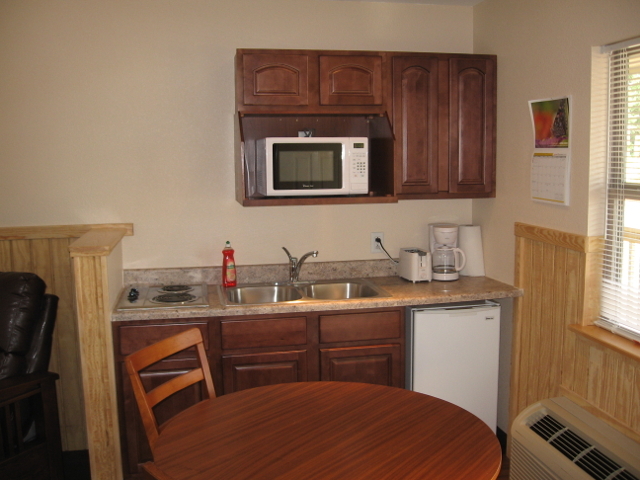 Regular Suites are one room units with a bathroom and shower. On one end of the unit is a queen-size bed. Sheets, pillows, blankets, and towels are provided, but are not changed on a daily basis. You may pick up clean sheets and towels one time during the festival. On the other end is the kitchen which includes a 2-burner cooktop (no oven), an under-counter refrigerator, a microwave, toaster, coffee pot, table and chairs. Basic dishes and cooking utensils are included. In the middle is a recliner and a sofa. 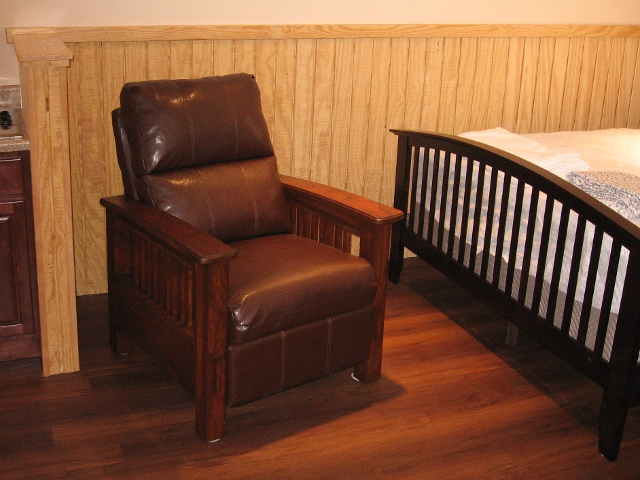 The Regular Suites have heating and air conditioning and include a covered front porch and a deck in the back. There are 5 of this type unit. On the Campus Map, the Regular Suites are #3, 4, 5, 8 & 9. 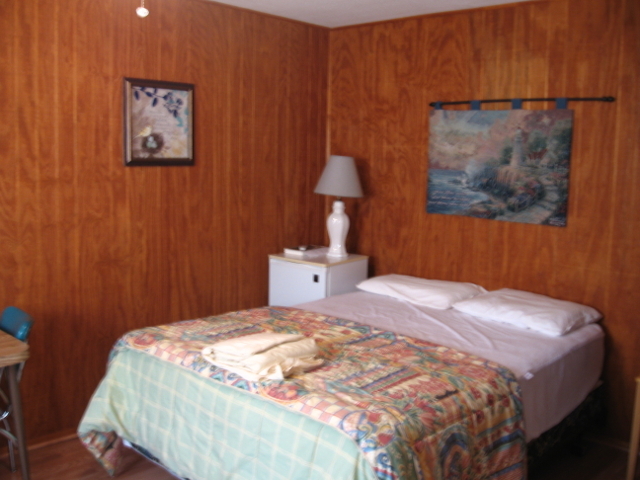 Motel Rooms are one-room units with a bathroom and shower. Each has a queen-size bed as well as a bunk bed. It can sleep up to 4 people. Sheets, pillows, blankets, and towels are provided, but are not changed on a daily basis. You may pick up clean sheets and towels one time during the festival. 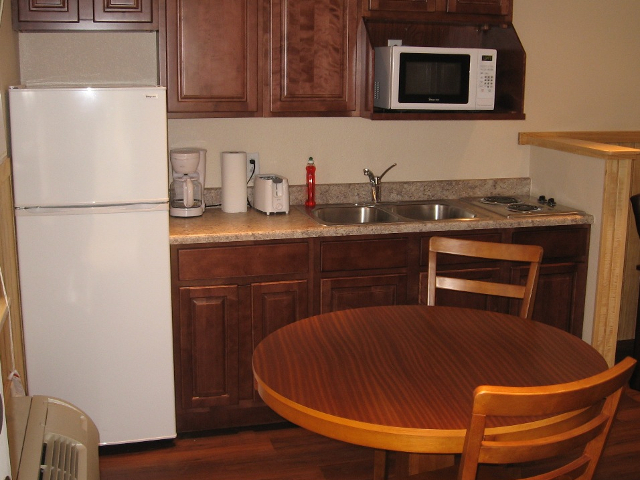 Each unit also includes an under-counter refrigerator, microwave, toaster, coffee pot and a table with chairs. 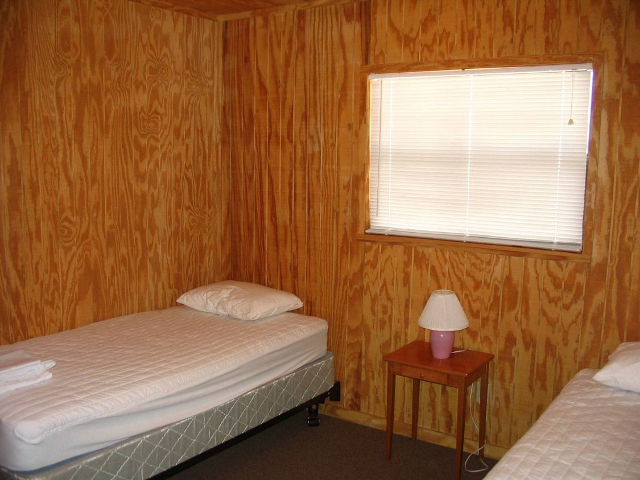 The Motel Rooms have heating and air conditioning and include a front porch. There are 2 of this type unit. Both are 'pet friendly'. 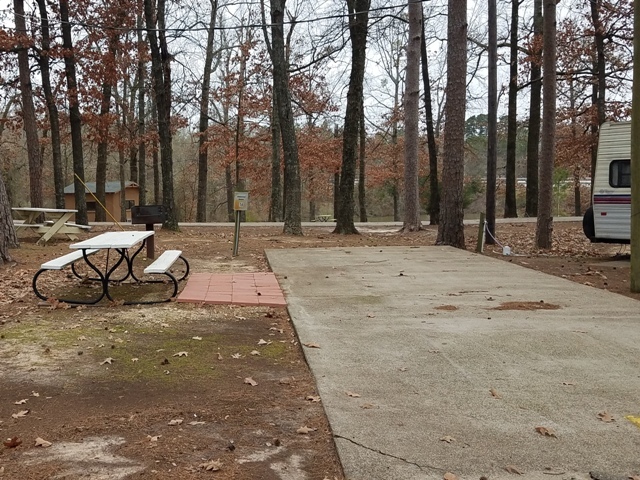 Camp Shiloh has a total of 34 beautiful RV sites, all of which have paved pads, a picnic table, and a charcoal grill. Not all sites have the same hook-up configuration, so check the Campus Map to secure the configuration that best fits your needs. Tents are allowed, but no more than 8 persons per site. Prices for each configuration are listed below. RV sites are 'pet friendly'. 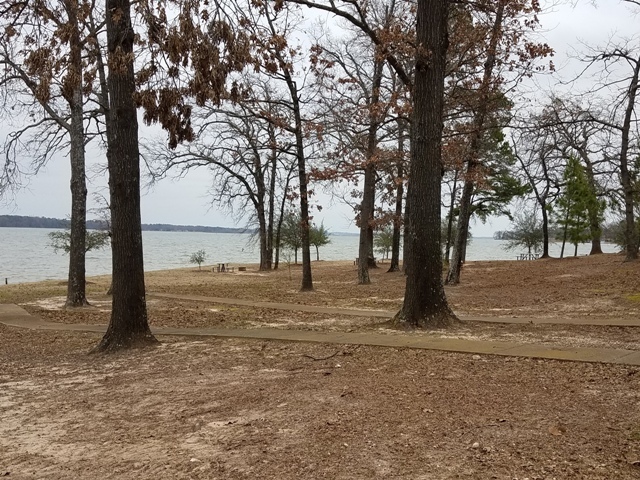 There are no clearly defined tent camping spots at Camp Shiloh, but during SOOJ, the tent camping area will be on the relatively flat areas adjacent to the lake specifically north and east of the Pavilion and west of the Boat Shed. One normal size tent and up to two smaller tents will be allowed on each site as long as those staying in the smaller tents are in the same immediate family as those in the main tent. Tent campers may also have a "kitchen" tent or screened enclosure. Campfires are permitted, but please use a fire ring. Note that the terrain is separated from the lake by a 'sea wall' and in some places drops up to 24" to the lake. There is no fence or rail separating the terrain from the lake. The campground area has only one bathhouse, and that bathhouse has three separate 'lockable' bathrooms. Each bathroom has a toilet, sink, and shower. 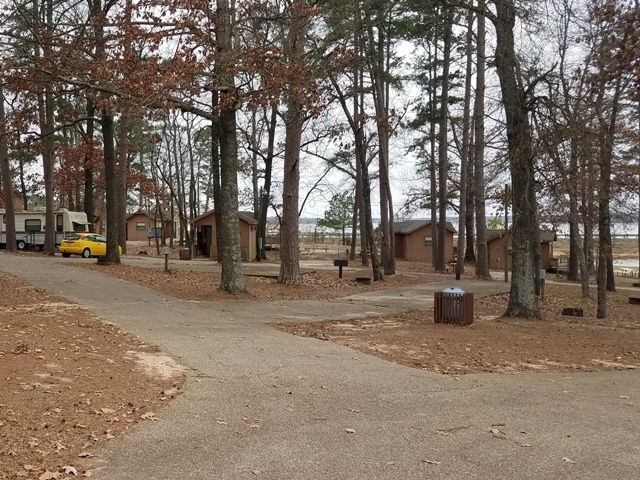 In addition, during the day and evening hours, campers may use the bathrooms and showers in the dorms (located adjacent to the conference center). Tent campers will park their vehicles in the Parking Lot by Cabins #1-3. Parking on the grass is not permitted. Tent campers my rent RV sites if they choose, but they must pay the published 'RV' rate for that site. How to Obtain Housing at SOOJ . . .
Register for SOOJ - Go to the Registration page and follow the instructions. You must complete this step before reserving housing. Determine type of housing - the various housing options along with prices for each are listed above. If you are looking for an RV site, the map at the top of the page shows the approximate location of each type of site. Housing is available on a first-come, first-serve basis. Click the 'Available Housing' link to see what is currently available (the list is updated daily as units are 'taken'. Contact the SOOJ Housing Coordinator - All housing for the festival will be handled though SOOJ. The Housing coordinator can help you make housing decisions by providing details for each type of facility, RV site, or camping site. Contact him via email - housing@sooj.org>, or by phone - (903) 863-5615). Pay for your Housing - SOOJ requires you provide a 50% deposit (Housing Price + Facility Fee) to reserve a site or accommodation. A RESERVATION IS NOT COMPLETE UNTIL PAYMENT IS RECEIVED. If paying by check, SOOJ will 'hold' your reservation for 7 days awaiting receipt of the check and bank clearance. The balance of the combined Housing and Facility Fee is due 60 days before the festival begins (August 14:2019). The unpaid balance for all reservations is due 60 days before the festival begins (i.e. - August 14, 2019). If the balance is not received by that date, your reservation may be voided. SOOJ prefers that unpaid balances be paid early and by check so we can avoid having to pay credit card fees. Reservations made after August 14, 2019 will require full payment at the time the reservation is made. FULL REFUNDS are available through September 27, 2019. SOOJ uses PayPal to handle credit card transactions. They in turn charge SOOJ approximately 3% of the payment amount to use their service. In the event of a refund, SOOJ is unable to recover that approx. 3% charge. Therefore, refunds on payments made by credit card are subject to a 3% reduction in the refund amount. Ami Yisrael Fellowship, PO Box 1633, Hawkins, TX 75765. Make plans to enjoy it with us.